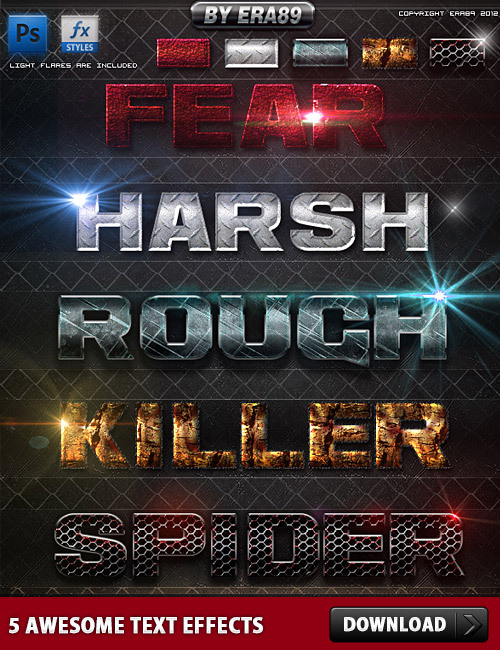 Download this 5 Awesome Text Effects Free Layer Style PSD and .ASL file. and Create some Rough, Metal and Grunge text effect. Enjoy!